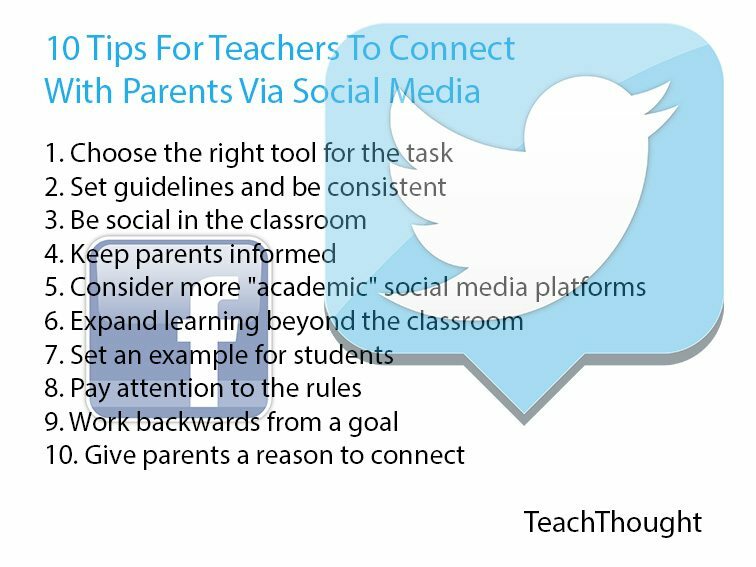 Social media provides an opportunity for real-time communication with students and parents, but its use can provide some challenges. Educators want to open the doors of communication to allow students and parents to engage with them, but it is often necessary to draw a line between their personal and professional lives. Although social media can be a valuable tool for learning and connecting with students and parents, if is not used thoughtfully by teachers, it can invite inappropriate behavior and misuse. This issue was the subject of a survey recently conducted by the College of Education at University of Phoenix. More than 1,000 K-12 teachers from around the country were surveyed and the results show that many are struggling to determine how to connect with students and parents via social media, and how to use it as a teaching tool in their classrooms. As with many others, teachers are avid users of social media – four-in five use it in their personal and professional lives according to the survey. Teachers also see the benefits of connecting with students. In fact, nearly half of all K-12 teachers and 58 percent of high school teachers believe that participation in social media with their teachers can enhance a student’s educational experience. However, lack of training and concerns about conflicts keep many teachers from using these tools in their classrooms. In fact, only 17 percent of K-12 teachers encourage their students to connect with them via social media and only 18 percent have integrated it into their classrooms. Unfortunately, this apprehension may be leading to missed opportunities to leverage pervasive and influential tools in the classroom. Students are engaged daily in social media, so it presents a great way to connect with them, but many teachers are understandably reluctant to engage without clear guidelines and training. In fact, Less than one-third (29 percent) of K-12 teachers say they have received significant or adequate training about interacting with students and parents via social media. The College of Education at University of Phoenix is taking steps to help teachers address the unique social and technological dynamics of today’s classrooms. Teacher candidates and other education students have many opportunities throughout their courses and programs to think critically about current issues in education and how they can best deal with them in their current or future classrooms. They also have opportunities to explore the wealth of educational technology tools that are available and to practice effectively integrating the technology into lesson plans and classroom activities.